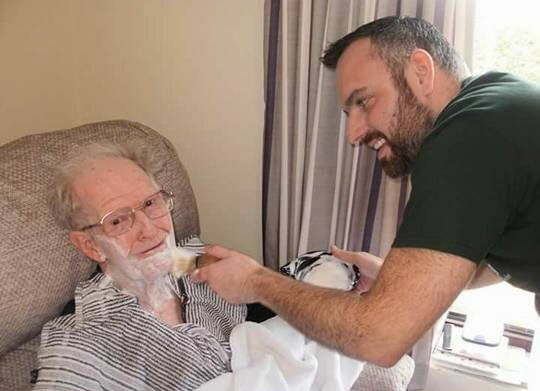 I am the first mobile dementia-friendly barber to go around care homes in Northern Ireland and provide a service like mine. Before, the salons within the care homes of Nothern Ireland were mostly suited to women from the decor to the lighting to the general chit chat. With my service, I try and cater to the men and create the whole ‘barber shop’ experience by adding pictures, barber signs and playing music on my jukebox. 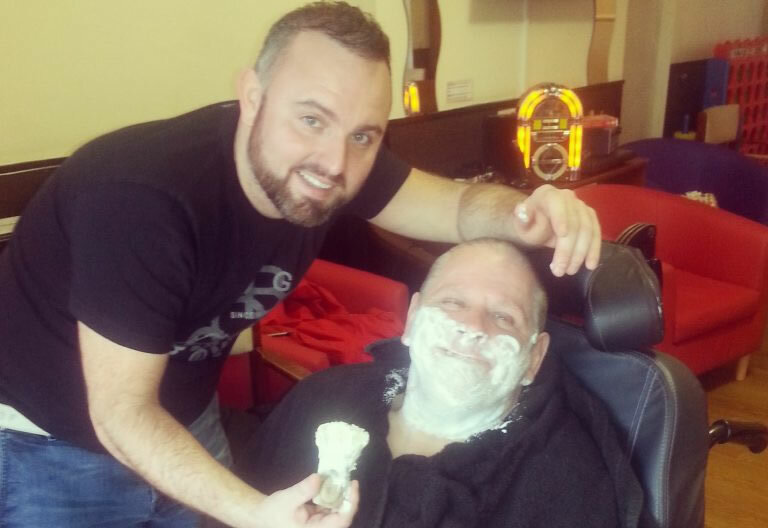 I cut the men’s hair and trim their ears, nose and eyebrow hair and afterwards a good old fashioned shave followed by a head/face massage and a dash of lemon lotion to finish off. Each person is different but I have learned that patience and talking my clients through what I am about to do really helps. I feel that my music is the thing that makes the most difference and I love to see the smiles on their faces as they sing along. I love what I do and I hope to bring my business into care homes across the UK.